Copy of About — BANG! BANG! Academy of Performing Arts is led by a creative team of performing arts facilitators and directors. We are passionate and dedicated to provide a rich and innovative learning experience within a wide range of genres. We are excited to help foster talent while creating a safe and explorative platform for performance. Sarah Allely’s love of theatre began as most young girls' does, with ballet. As a teenager she was a member of Dance North’s youth company Extensions and also Trellis of Lizards Youth Theatre Company in North Queensland. Both of these experiences gave her invaluable insight into professional theatre-making along with guidance from mentors who further nurtured her passion for performance. Sarah enrolled in a BA Dance degree at Queensland University of Technology in 1991 and graduated seven years later with a BA Drama. Her main areas of study within the degree were Physical Theatre, Contemporary Dance, Composition, and Dance for Film. After graduating university she lived in London for several years where she worked as an actor, dancer and physical theatre performer. During this time she saw every performance and took every class possible relating to her art form. Somehow she ended up in the world of music video production and from there diverged further into fashion styling. Sarah has now come full circle back to her original desire to create and present theatre that will change will the world. She currently holds the position of Secretary on the committee of Bangalow Theatre Company and is thrilled and privileged to be a Director of BANG! Academy of Performing Arts. Anouska has had extensive experience and involvement in the performing arts industry of Australia for over 25 years. After completing a Diploma at Brent Street Performing Arts and a double degree in Dance and Drama Education at UNSW, Anouska has continued to pursue her love for the performing arts through teaching and choreographing in various institutions throughout NSW. She is an active choreographer for both the State Dance Ensembles and Schools Spectacular in Sydney, along with her locally co-founded and directed theatre company in Bangalow, Bangalow Theatre Company (BTC). Anouska currently lectures at Southern Cross University in Performing Arts Education and hopes to share and inspire more creativity into the region. Frauke Huhn has trained and worked in Theatre for over 20 years. She has been involved with productions, projects and trainings for various institutions in Europe, Africa, Asia and Australia. She lectured in Theatrepedagogy and Applied Theatre at the at the Institute for Economic and Social Sciences and worked as a Communication Trainer at the Eberhard-Karls- University of Tübingen in Germany, which is her Alma Mater. Frauke studied as well at the University of Queensland in Brisbane, Australia and holds two M.As in Science and Education, is a certified Applied Theatre Teacher ( Theatrepedagogy BuT) and accredited Secondary Teacher (Boostes). After she moved to Australia she became the founder of CICADE, Centre for Innovative Coaching and Applied Drama Education and the Director of Education for Public Act -Theatre for All, Byron Bay. 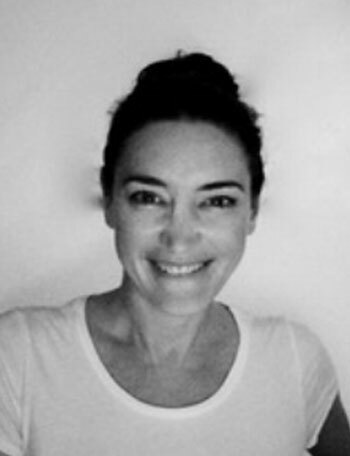 She has been a Board member of Drama NSW and currently teaches at local Schools. She continues to train and coach educators and teachers overseas. Since experiencing the power of Theatre in her own teenage years and working in the Children Theatre Section of a State Theatre in Germany at the early beginnings of her career, Frauke has never lost her love and commitment to work with young people throughout her professional life. Her projects for and with children and youth have been awarded by UNESCO and the Ministry of Culture, Germany. She is excited to share her extensive experience with BANG! Academy of Performing Arts. Bridie has been singing, dancing and acting since she was six years old, and has adored every moment of it! She has always enjoyed performing for people, on a large or small scale, and she loves the positive effect that the performing arts has on everyone that is involved. Bridie has performed with the Bangalow Theatre Company, 2015 and 2016 with leading roles in each production. Bridie is delighted to have the opportunity to share her passion with the next generation, and show them how they can lose themselves in the fun of acting and performing for others. Teaching children is something she has always been interested in and is dedicated to providing the the best experience for every child in each class. Tia McQueen-Nelson is a half Japanese, half Australian actress who is currently studying Screen Acting at the Film & Television School with Mark Piper and is represented by Gilchrist Management. She has also studied Drama for her HSC and has studied dance for 16 years, along with vocal training. Tia performed in Bangalow Theatre Company's latest production, 'Little Shop of Horrors' in a leading role and is set to take the stage in their current production, 'Chicago'. Tia is excited to come on board with BANG to teach children and to share her passion for the performing arts.